The Rio Blanco calves generated lots of excitement this past summer. They are deep and eye-appealing with obvious performance and good dispositions. 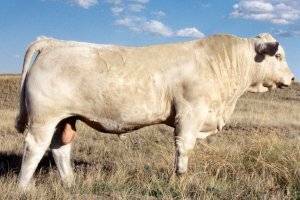 Rio Blanco had ratios of 131 or better in 4 traits (WW, YW, Marb. and REA).